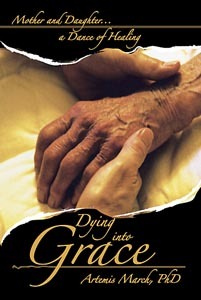 Copies of Dying into Grace can be purchased for $19.95 + shipping, and for Massachusetts residents, sales tax. If you can't open the form, please send us your name, shipping address, phone number or email, along with your check. The book measures 6" x 9" x 1" and weighs 1.38 pounds.